I almost laughed out loud at the title! Yalom does a solid job giving readers an overview of wifehood. She focuses more heavily on Western marriage traditions, and later in the book on marriage in England and in America. This made sense to me, as American law developed from English common law, but I don’t know if people searching for world-wide views of marriage would find it helpful. One of the best chapters in the book deals with the history contraception and abortion in America before, during and after Congress passed the Comstock laws (which outlawed any use of contraceptive devices, sales of the same or even mailing information about birth control). If I could rate individual chapters, I’d give that one 5 stars. I would recommend this book for anyone wanting an overview of marriage in Westen Europe. 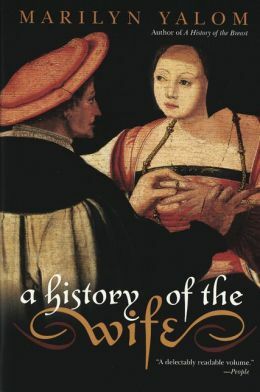 While she doesn’t get into detailed notes about every religious and civil law that controlled, and controls, life for married women — that would take an entire library — Yalom takes a huge area of study and breaks it down for the reader, showing the development of marriage as women changed from chattels to individuals to heads of households. <br/><br/>The only reason I did not rate the book higher is that the author’s voice tends to a somewhat dry presentation of facts, which makes some sections tough going. The information presented is well worth the effort, and as a writer of historical romance, this would make a welcome addition to my reference library.